The point of the official is that such aid is a harmful plague, like AIDS. The same question ought to be asked, ahead of its use, of financial support in missions of national workers and ministries. 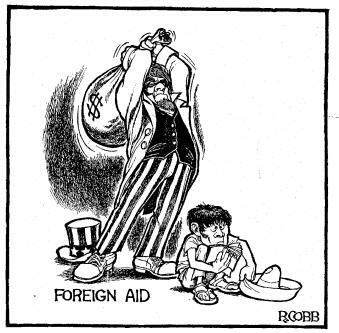 One wonders if in the spiritual realm the hurt caused by foreign (mostly American) aid for mission efforts is mitigated. But the experienced voices in the church are many that warn of its great potential for harm. They seem not to be heeded much. One gets the impression that the experiences of those voices were negative. But too many seem to like to make their own mistakes nowadays.